I consider myself very “traditional” when it comes to decorating. I get it from my Mom. 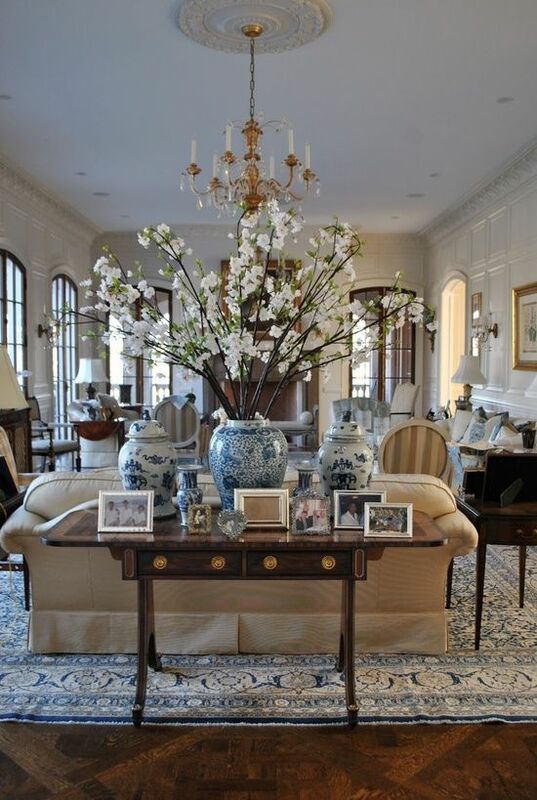 She has exquisite style and taste when it comes to dressing and decorating; therefore, like Mother, like daughter, I inherited her style. And, thank goodness I did. 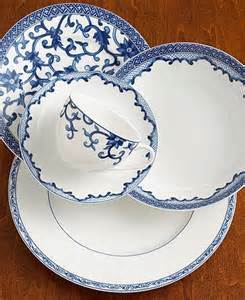 When we registered for our everyday china pattern, my husband and I both fell in love with the “Mandarin Blue” collection by Lauren Ralph Lauren. Since, then I’ve been able to find several discontinued pieces of our pattern like vases, cookie jars, and candlesticks at HomeGoods. 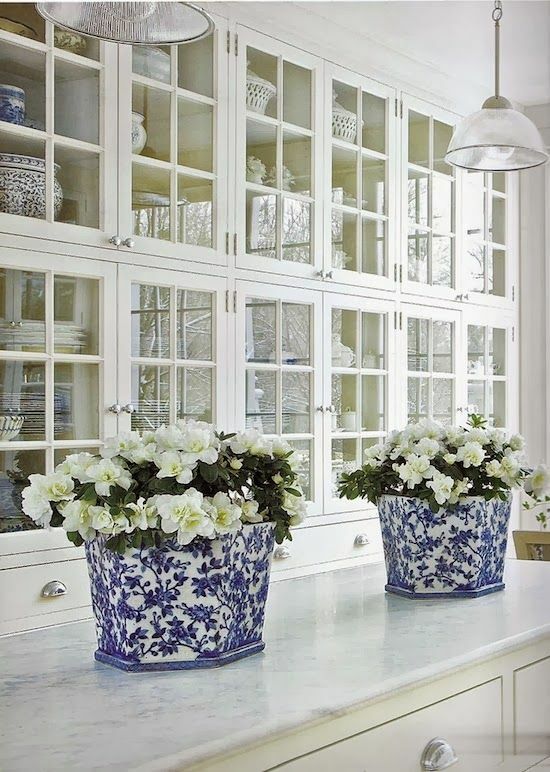 My Mom always calls me and says “I found more…” and I tell her “grab them, please!” Now, I’ll be the first to admit, other than our everyday pattern, I don’t like a lot of blue and white décor, but I do like it sprinkled in ” here and there” around the house. Too much of a good thing is not good, in my opinion. 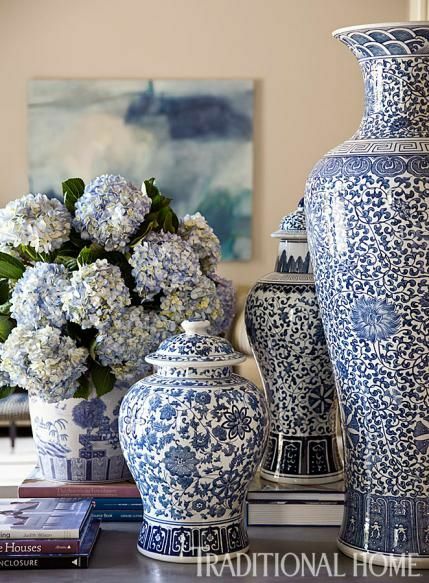 If you’re lucky, you can find some really great buys on blue and white ginger jars, bowls, vases and more at HomeGoods. That’s the place to hunt for them. When you see one, grab it, because they go fast. I recently found a blue and white bowl for $24.99. It now resides on our sideboard in our foyer. It’s a piece we’ll love for years. The “hunt” for these pieces is half of the fun! 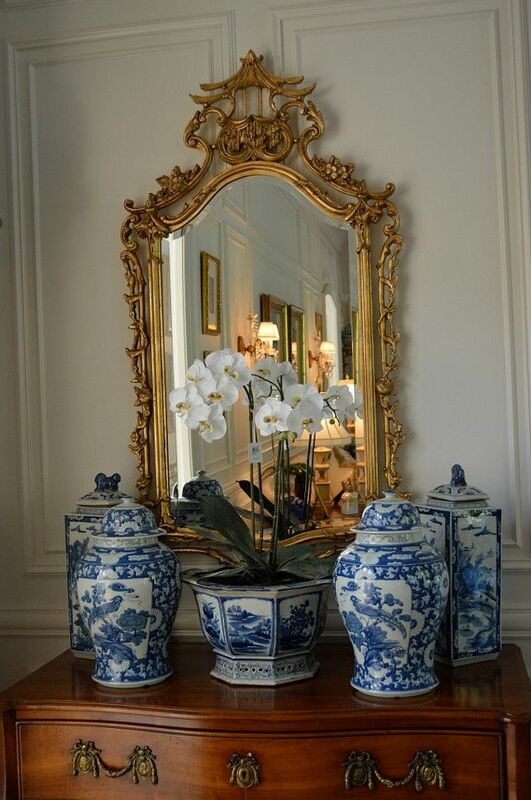 Do you like decorating with blue and white? If so, where do you shop for your pieces? 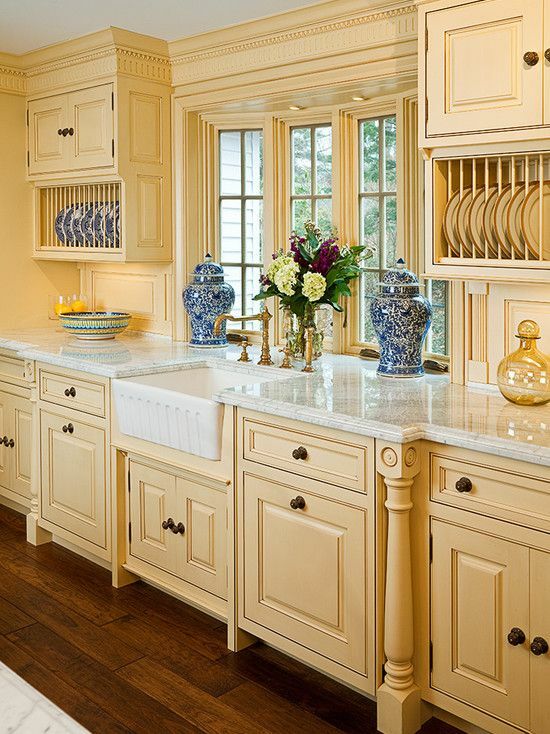 Below are some images inspiring my “blue & white” style.